Changing the behaviors of your tenants, employees, and customers can help you save energy and money. Employees want to work somewhere with a good environmental record. Consumers prefer to do business with environmentally responsible companies. If a tree falls in the forest and no one hears it, does it make a sound? … Same goes if you save energy but don’t tell anyone about it. EPA makes it easy for you to create and execute a strategic communications campaign around your ENERGY STAR partnership. Browse through the resources below, or see a complete list of all communications resources in our tools and resources library. Start here. This six-page worksheet will take you through the process of developing a strategic communications plan. From setting the right goals to defining measurable objectives, we’ve taken what can be an intimidating task and broken it out for you into a template communications plan with eight clear steps. The people within your organization play a major role is using energy … but they can also play a major role in helping your organization save money and protect the environment by improving your facilities’ energy performance. Help them help you! Engage and inspire them, and you’ll find that you have more support than you may have thought possible. Our fun set of employee education tools is a crowd favorite. Designed with the non-engineer in mind, these cheerful, interactive tools and resources can make energy efficiency fun and meaningful for everyone in your organization. Whether you’ve earned formal recognition from EPA or not, you can make the most of your efforts by sharing news of your accomplishments with your stakeholders, employees, customers, and community. Spread the word about your commitment to fight climate change in partnership with the nation’s most trusted symbol of energy efficiency. Sample press release, partner logo, sample web content, and more. Promote your top-performing building or facility with our off-the-shelf tools and promotional ideas. Building plaques, decals, flags, and banners; ENERGY STAR certification mark; logo use guidelines; sample press release; sample event itinerary; and ideas for promoting your certified building or plant. Commercial building designs that are projected to perform among the top 25 percent of similar buildings, once built, are eligible to achieve Designed to Earn the ENERGY STAR recognition. If your design project has achieved this recognition, start promoting it now to potential tenants, clients, lenders, and stakeholders. Sample press release, Designed to Earn the ENERGY STAR logo, logo use guidelines, and ideas for promoting your recognition. 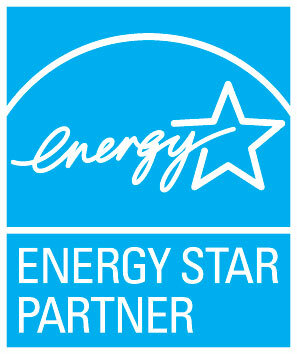 Partner of the Year awards are the highest honor available to ENERGY STAR partners. Use these tools to make sure everyone who’s anyone knows that you’re among the best of the best. Sample press release, sample event itinerary. 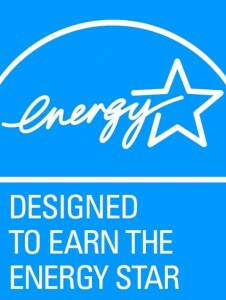 More than 85% of consumers recognize the ENERGY STAR.